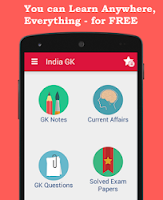 India GK Question Sample Paper 105: India General Knowledge (GK) Sample Question Paper No. 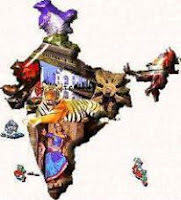 105 with Collection of 20 Question of India GK Questions under GK Quiz in PDF @ India GK Sample Papers. India General Knowledge (GK) and General Science (GS) Questions are also available with Quiz on daily basis. Q.1721 In northern hemisphere, the wind blowing from the Horse latitude to the Doldrums is called? Q.1723 Where did Buddha die? Q.1724. The father of modern biology is ? Q.1731 Which one of the following is not a form of precipitation? Q.1732 Which among the following substances is used as a lubricant? Q.1733 Who was the first navigator who had sailed around the earth and proved that the shape of earth is round? Q.1735 Padma Shri 'Uppalapu Srinivas' passes away recently was associated with ? Q.1737 First medal for India in 17th Asian Games was won by ? Q.1738 Which of the following countries is the largest producer of coal ? Q.1739 Nalanda University, formally inaugurated in its modern 'avatar' recently by ? Q.1740 The Results of Scotland Referendum was ? D. England & Scotland will stay together for 5 years only.